The boot package provides extensive facilities for bootstrapping and related resampling methods. You can bootstrap a single statistic (e.g. a median), or a vector (e.g., regression weights). This section will get you started with basic nonparametric bootstrapping. 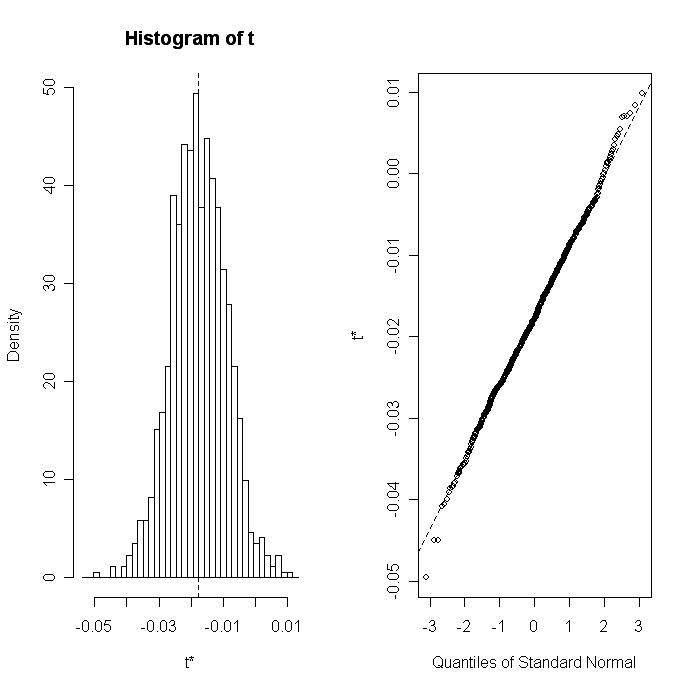 statistic A function that produces the k statistics to be bootstrapped (k=1 if bootstrapping a single statistic). The function should include an indices parameter that the boot() function can use to select cases for each replication (see examples below). 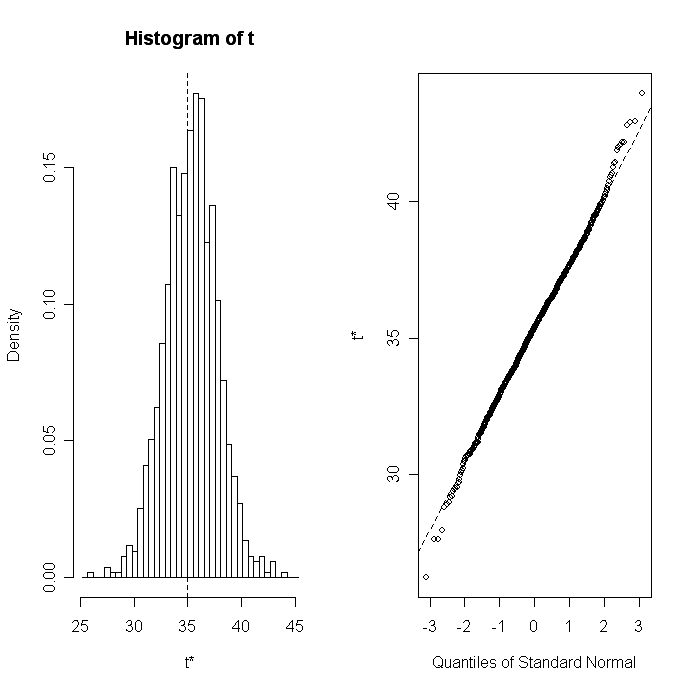 t0 The observed values of k statistics applied to the orginal data. t An R x k matrix where each row is a bootstrap replicate of the k statistics. You can access these as bootobject$t0 and bootobject$t. Once you generate the bootstrap samples, print(bootobject) and plot(bootobject) can be used to examine the results. If the results look reasonable, you can use boot.ci( ) function to obtain confidence intervals for the statistic(s). The following example generates the bootstrapped 95% confidence interval for R-squared in the linear regression of miles per gallon (mpg) on car weight (wt) and displacement (disp). The data source is mtcars. The bootstrapped confidence interval is based on 1000 replications. 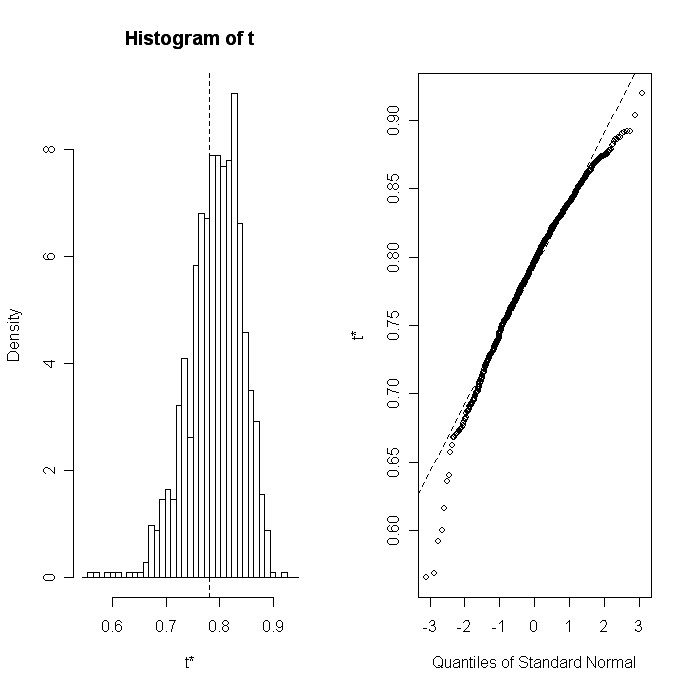 In example above, the function rsq returned a number and boot.ci returned a single confidence interval. The statistics function you provide can also return a vector. In the next example we get the 95% CI for the three model regression coefficients (intercept, car weight, displacement). In this case we add an index parameter to plot( ) and boot.ci( ) to indicate which column in bootobject$t is to analyzed. The boot( ) function can generate both nonparametric and parametric resampling. For the nonparametric bootstrap, resampling methods include ordinary, balanced, antithetic and permutation. For the nonparametric bootstrap, stratified resampling is supported. Importance resampling weights can also be specified. The boot.ci( ) function takes a bootobject and generates 5 different types of two-sided nonparametric confidence intervals. These include the first order normal approximation, the basic bootstrap interval, the studentized bootstrap interval, the bootstrap percentile interval, and the adjusted bootstrap percentile (BCa) interval. Look at help(boot), help(boot.ci), and help(plot.boot) for more details. 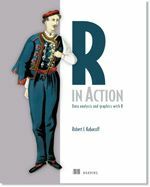 Good sources of information include Resampling Methods in R: The boot Package by Angelo Canty, Getting started with the boot package by Ajay Shah, Bootstrapping Regression Models by John Fox, and Bootstrap Methods and Their Applications by Davison and Hinkley. Try this interactive exercise with the boot package from DataCamp's Intro to Computational Finance with R course.